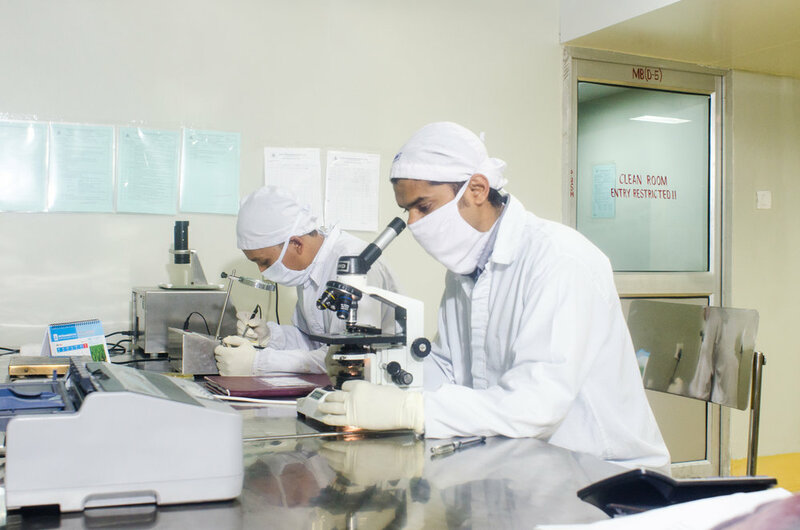 Manufacturing — Asian Pharmaceuticals Pvt. Ltd.
Asian began manufacturing pharmaceutical products in August 1998. 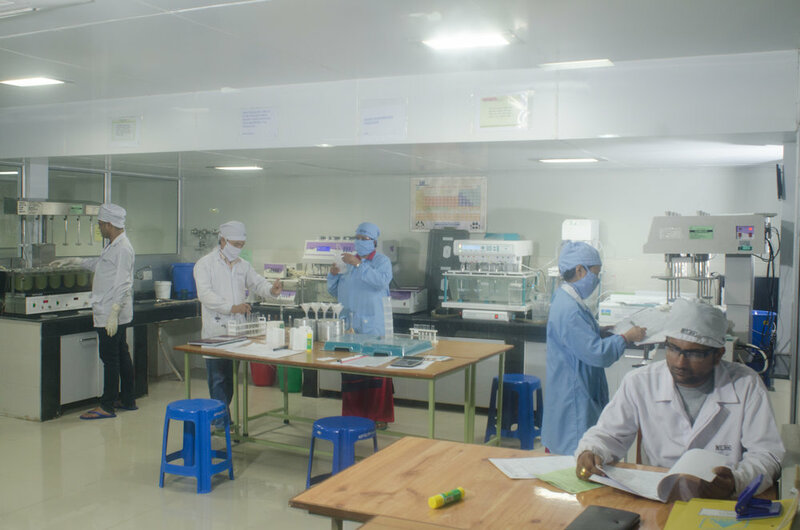 The manufacturing plant of Asian Pharmaceuticals Pvt. Ltd. is situated in the lap of Siddharthanagar, Bhairahawa, 5km north of the main town. 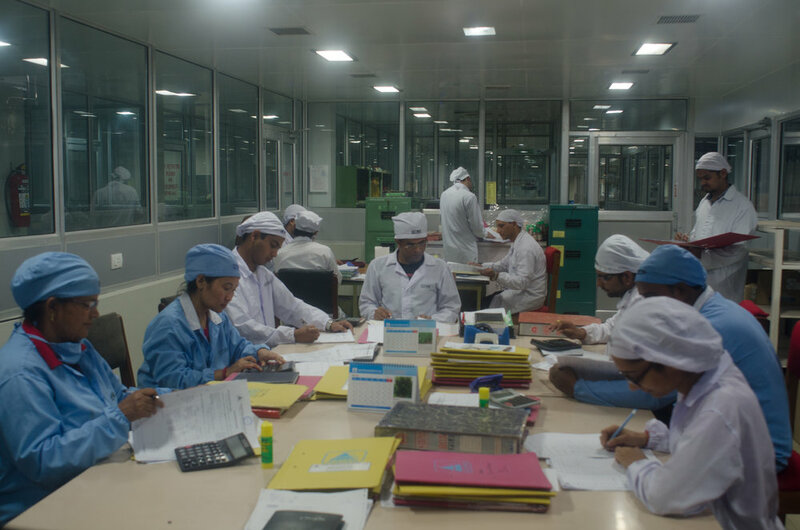 Asian Pharmaceuticals has competent technical manpower engaged in product manufacturing. It is mainly concerned with the manufacturing of non sterile products for Pharma, Solar, Dental Care, and Animal Care Divisions which include solids, liquid orals, semi solids, and solutions for external use. These dosages form accounts for tablets, capsules, dry syrups, oral liquids, gels, mouth washes and water soluble powders. Asian manufactures analgesic, orthopedic, antacid, antibiotic, antibacterial, anthelmintic, antiasthmatic, anti gastric, anti vomiting, anti gout, antiallergic, and central nervous system drugs. The manufacturing facility of different categories is segregated by separate HVAC systems. It has separate buildings with complete facilities for the manufacturing of veterinary products. Asian manufactures 140 products of different concentrations. The equipment employed in manufacturing is of GMP model. Some of the equipment used includes; Fluid Bed Dryer, Mass Mixer, Vibratory Sifter, Colloid Mill, Multi Mill, Cone Blender, Rotary Compression M/C, Capsule Filling M/C, Capsule Sorting and Polishing M/C, Rapid Cota M/C or Sprayer, Blister Packing M/C, Alu-Alu Packing M/C, Strip Packing M/C, Bottle Washing M/C, Liquid Filling /Sealing/Inspection and Labelling M/C, Planetary Mixer, Semi Solid Filling/Sealing M/C, Dry Syrup Filling/Sealing M/C.